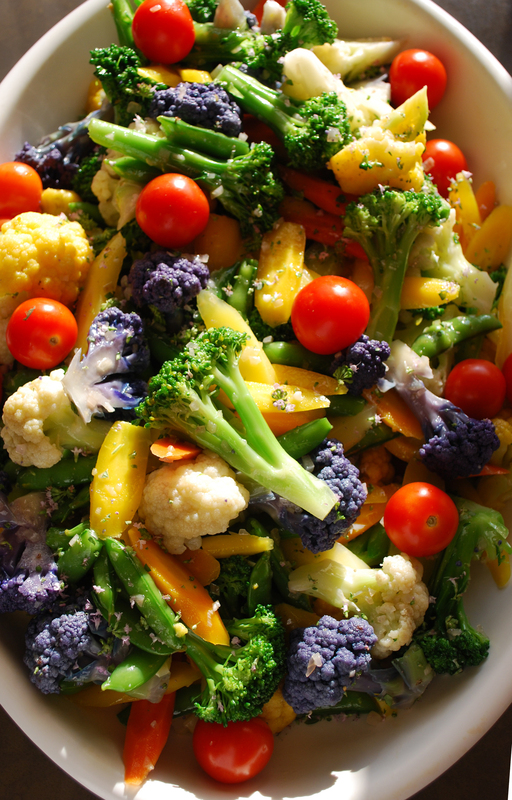 Our friends at Gill Farms in Hurley, New York keep surprising us with beautiful, tasty, healthy vegetables. Life is too short to only eat broccoli! 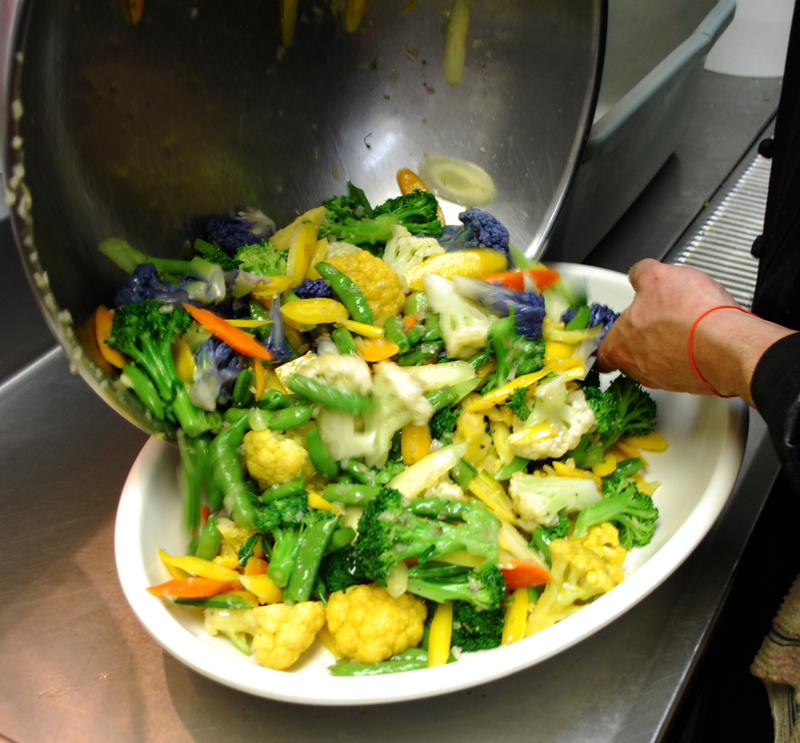 So come on in and try some of the wonderful vegetables we have been preparing. Expand your mind and your palate! Today’s delivery included multicolored mini-eggplants and gorgeous okra. There is definitely much more to do with okra than making gumbo, (which we love) so to highlight these fascinating vegetables I made an Indian inspired dish, called a “bhadji”, delicately seasoned with ginger, tamarind and chili for today’s plat du jour. The fresh cranberry beans we cooked yesterday are another late summer treat, truly amazing! I folded these into a clove, cardamon scented rice, sort of like an Indian version of the Cajan “dirty rice”. To finish the dish we’ve paired a nice cool cucumber yogurt raita, with cucumbers from Gill Farms, of course, and some fresh herbs from our garden out back. We’re loving the bounty of the harvest in August, come share it with us! I have the utmost admiration for our local farmers and their ability to be harvesting the most gorgeous vegetables by the second week in June! 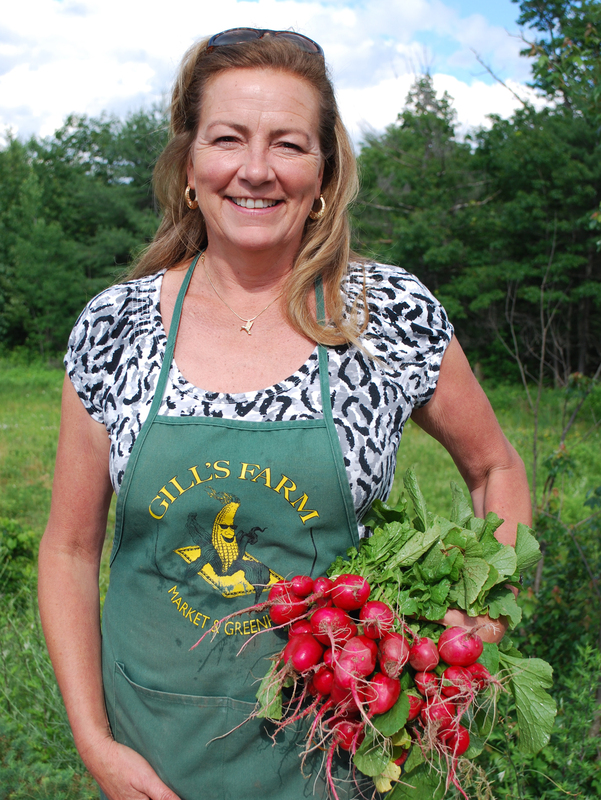 Loretta from Gill Farms came by today and brought us a bounty of delicious produce which was grown just down the road – kudos to John who runs the farm and to Cindy and Loretta who do such a beautiful job at their roadside store on Route 209! 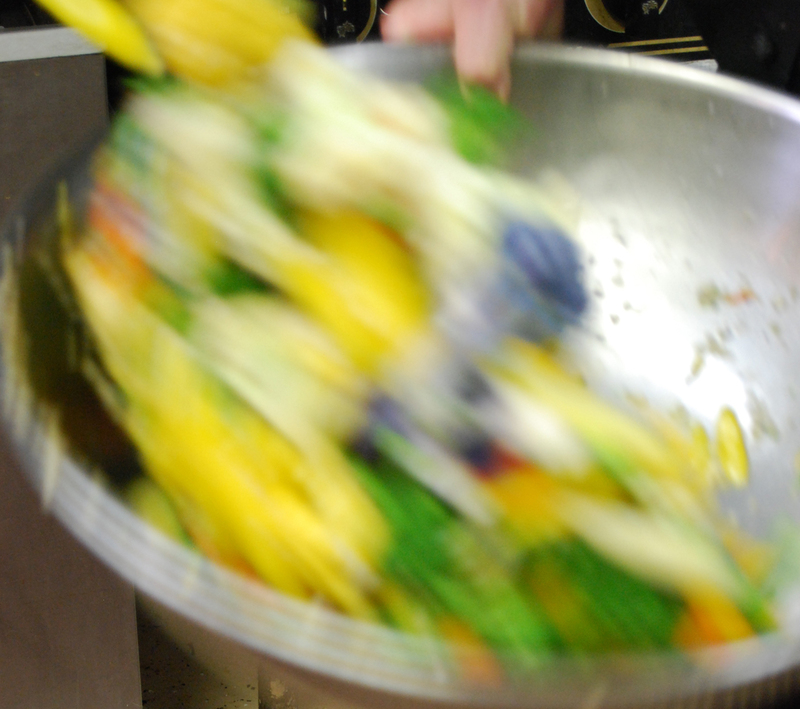 One of our favorite vegetable preparations we just call “Chef’s Seasonal Vegetable Medley” – when brides and grooms ask me in the dead of winter what’s in it, I tell them “whatever we can get that comes fresh from our local farms”. And hallelujah – here it is. 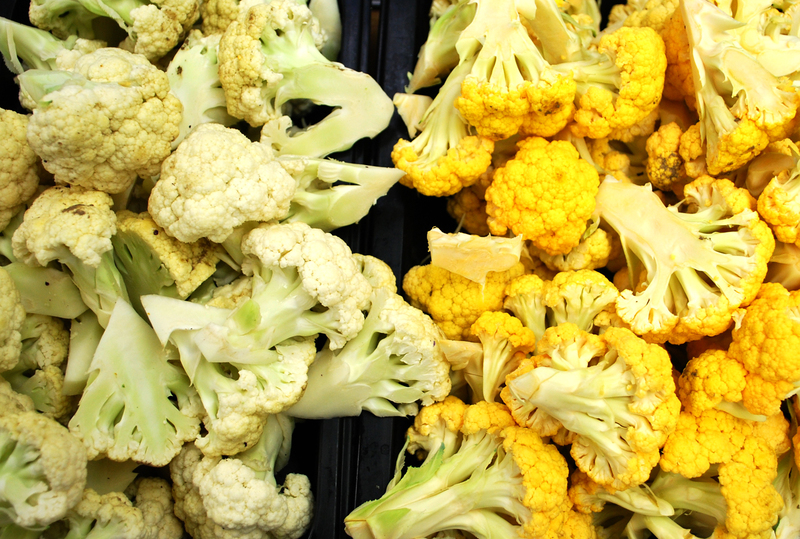 The preparation is simple: cut each vegetable to maximize the beauty of it’s shape. It’s nice to make the size of the broccoli, for instance, about two bites for interest. You can experiment and see how the sizes and shapes of different vegetables interact and look together when they’re cooked and presented. Each type of vegetable will be steamed individually, tested with a knife for done-ness (they should have a bit of give and still have their color when you take them off the heat). Prepare a bath of ice water to plunge them into immediately to help retain the vibrancy of color – no one wants to look at or eat veggies that are overcooked. Once you have coo ked your assorted vegetables, put them together in a big mixing bowl and add toss with olive oil in which you’ve sauteed some finely minced shallots. Add salt and pepper and toss. Pour out onto your favorite platter and garnish with some fresh herbs. 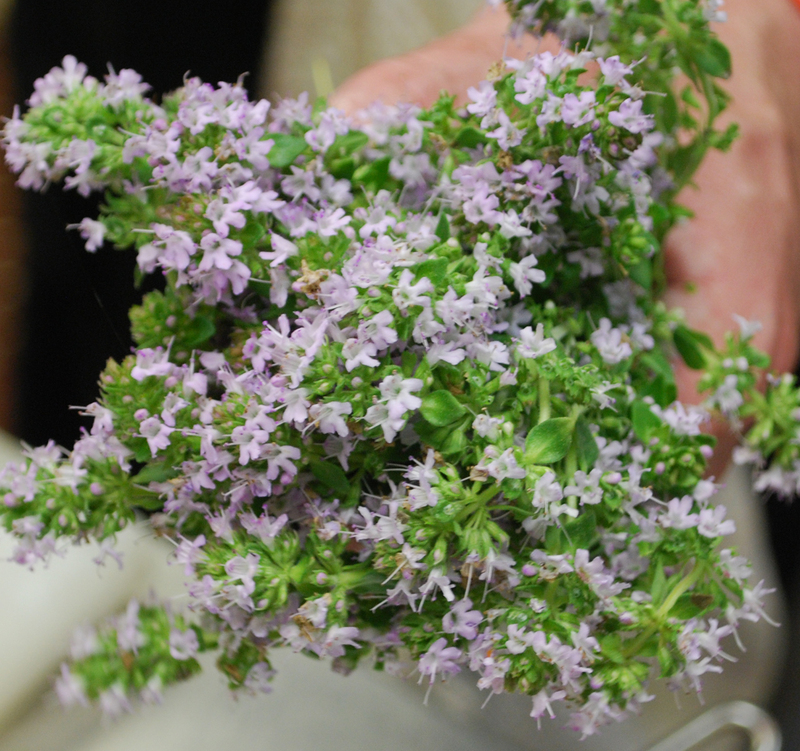 In this case, we went out to our garden and picked some thyme blossoms, chopped them lightly and dusted the top with the flowers. Beautiful, aromatic and delicious! We’re into the joy of the growing season now as we begin to expect new arrivals each week from one of our favorite local farmers John from Gill Farms. A few days ago he showed up with an enormous bag of freshly picked spinach. It’s so great to see the beginnings of what is in store for us in the coming months. 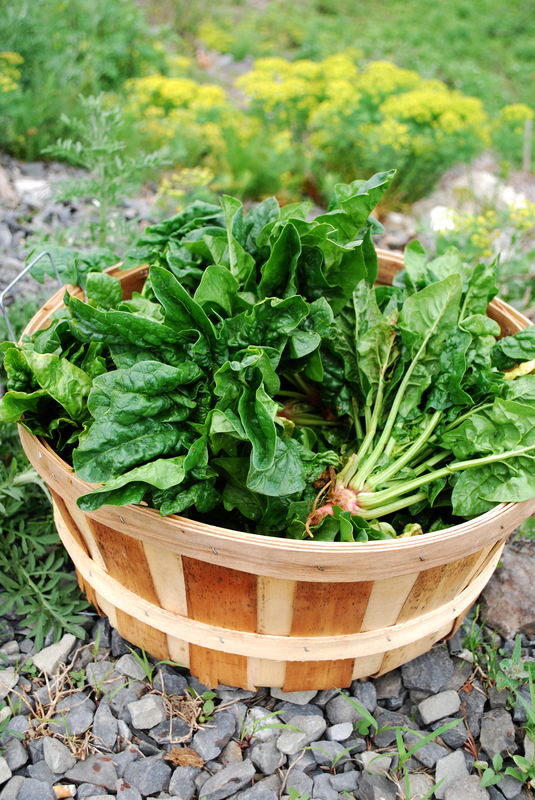 The first thing we do with the spinach is cut off the tip of the stem and discard. 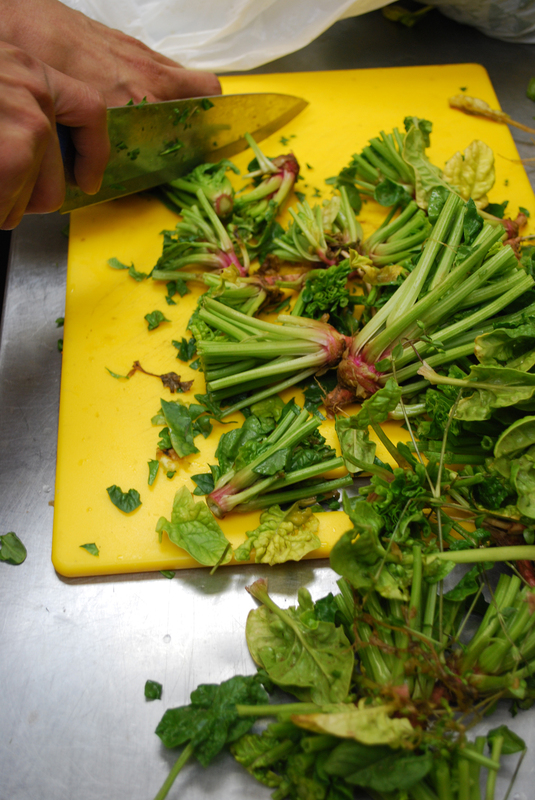 Then we separate the stems from the upper leaf, putting all the leaves into a sink full of water. Let them soak for a bit, gently swishing them around to dislodge any bits of sand that may still be clinging to the leaves. To be safe, we usually drain in a collander and then wash them one more time in clean water. Then spin dry. As I was cleaning the spinach I remembered a dish we used to do years ago with the stems: a gratin! There’s nothing more satisfying to a chef then making use of all of a plant or any food item. “Nose to tail eating” as Fergus Henderson says. In a professional kitchen, or any kitchen for that matter, nothing should go to waste! We start with a basic bechamel sauce: 1 cup flour, 1 cup butter, and two quarts of milk flavored with a bay leaf and freshly grated nutmeg (a great base). Next we cut the stems in half, clean them in several changes of water, and blanch them in boiling salted water. Next, we grate a mixture of cheeses: cheddar, gruyere or fontina work the best, ricotta is good also, stay away from mozzarella as it gets stringy. 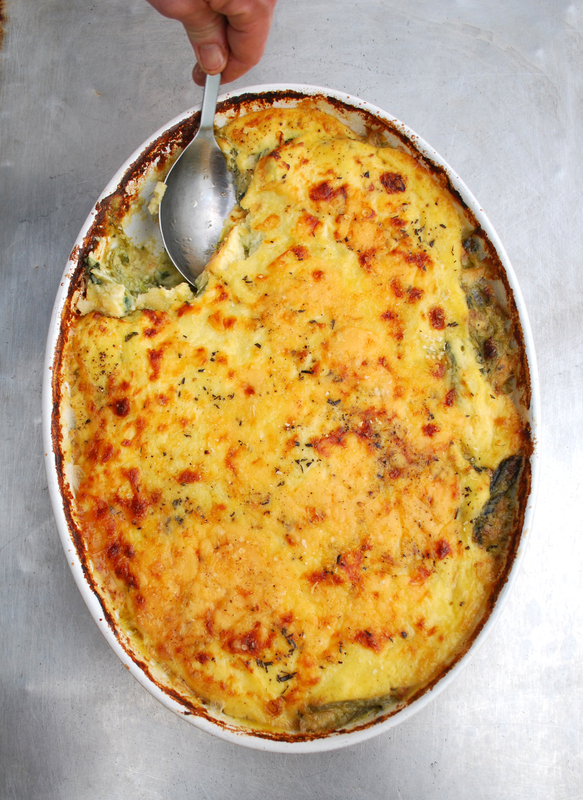 Mix a couple of eggs into the sauce, a couple cups of grated cheese, a bit of Parmesan never hurts, and pour into a gratin dish with the seasoned blanched stems. 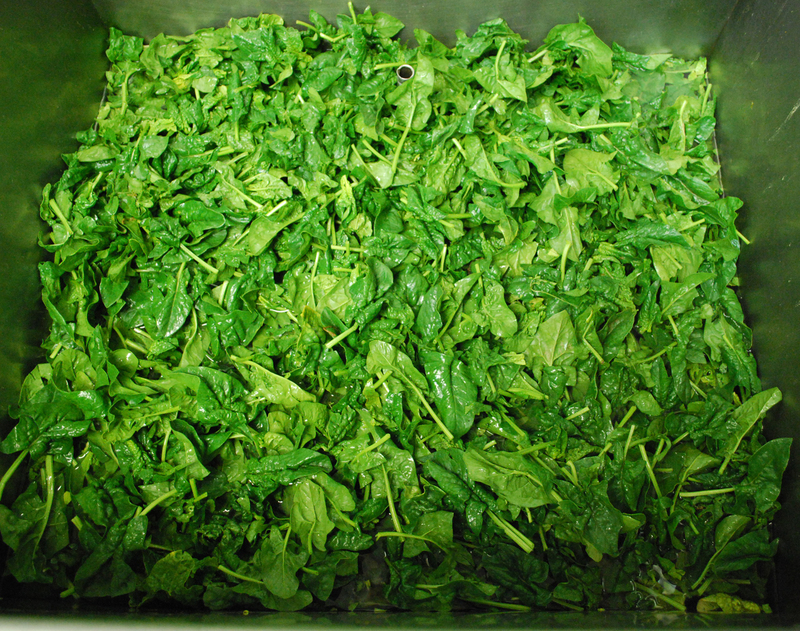 I like to add a bit of the cooked spinach leaves (chopped) as well for color. Now top with bread crumbs tossed with a bit of garlic, butter and parsley. Bake until set, about 30 to 45 minutes at 350 depending on the size of your gratin dish. This is a delicious side for a summer meal, or would make a fabulous vegetarian entree. Enjoy!